Should I Use a Password Book? Passwords: Whatever it takes, you just cannot do without them. Whether you need to access email, online banking or even Facebook, a password is needed so that you can correctly authenticate yourself. With passwords, other people would be able to access our accounts, with untold damage. Many computer users opt to save their passwords in a notebook, or perhaps in a desktop app like a password protected Excel file. While convenient, these solutions are non-secure; once discovered, your passwords will give other people access to your accounts. So is using an internet address password book a good idea? Why Do We Write Them Down? Passwords are a big problem for many people. Writing passwords down in a notebook or on a piece of paper or saved in a document is a good way of recording them, but it is completely against the spirit of having a password that only you know. In the past, most people setup accounts with short, 8 letter passwords which would need changing every few weeks. While easy to remember at first, such passwords would be written down as the regular change would cause problems. These passwords were also easy to crack as many users would select dictionary words as their password. …leading to the passwords being written down. Even with biometrics recorded for users wishing to access a network, a password is required. Card scanning tools are available on many types of keyboard to permit access to users, but this only authenticates the identity of a user with privileges to access that computer. A password is required to access the computer itself. So with many passwords flying around, is an internet address password book a good idea? Is it even safe? The answer to the question comes down to how it used. No system is entirely secure; movies have shown how palm print and retinal scanners can be bypassed, and even biometric cards can be misused. A physical book should always be kept securely, such as in a locked draw in your desk. A software book should be stored on a secure, password protected USB flash stick. No usernames should be stored. A password without a username isn’t quite as useless as a username without a password, but it can certainly help to slow down and malicious intents. 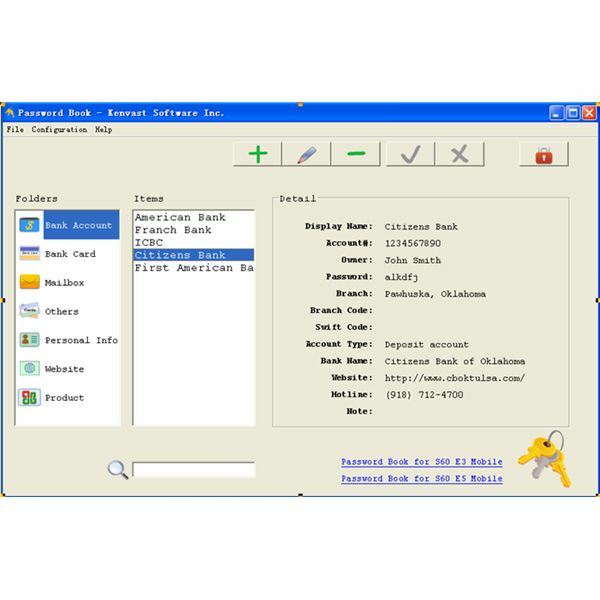 There are a few password books available online, each of which require a master password to access the,. 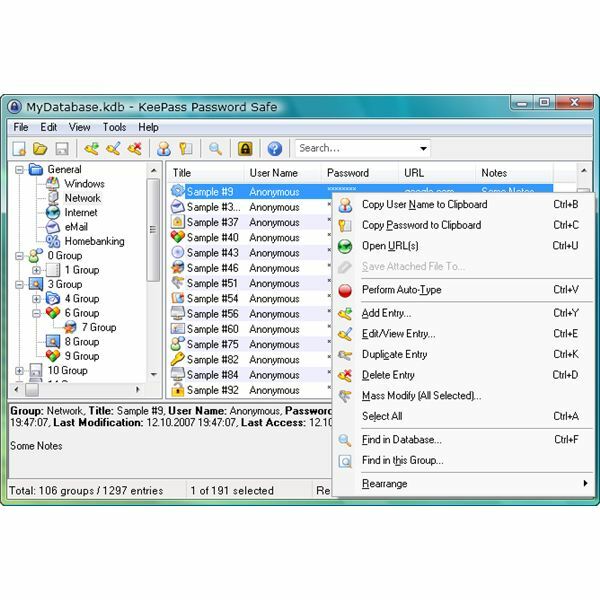 KeePass – Available from keepass.info, this tool (right) comes in free and professional versions and can be used on a variety of desktop and mobile platforms. Password Safe – Open source software available from passwordsafe.sourceforge.net, this tool is a useful password database system.